For the reader who says that you can’t arrive at the position that the self doesn’t exist by argument, in fact the Gelug lineage of Tibetan Buddhists (the one in which the Dalai Lama belongs) believes that not only is logic helpful in this endeavour, it is essential. You must first convince yourself of the logic underlying the no self position before meditating on it. They liken it to taking a horse through a race course before a race. And the logic used, based on Tsongkhapa’s interpretation of Nagarjuna’s Introduction to the Middle Way, is extremely convincing. A great summary of it can be found in Guy Newland’s Introduction to Emptiness. The Dalai Lama’s How to See Yourself as You Really Are is a bit more bare bones. However, I do agree with the reader that you and most of your other readers are misunderstanding what the absence of self infers. It doesn’t mean a zombie-like annihilation of personality. It simply means recognizing that the thought “me” refers to something that you believe to exist inherently, whereas nothing can be said to exist inherently. There is still a “me”, it’s just that it exists moment to moment. For a good discussion of this, listen to this Philosophy Bites podcast on a possible connection between Hume and Tsongkhapa. As to how the belief in an inherently existing self dominates our day-to-day existence, check out the YouTube video [seen above] by Sakyong Mipham, spoken word artist and son of Chogyam Trunkpa. The question of “does the self exist” troubled me for several years before I came to a place of peace. Buddhism says that nothing exists in a permanent state – the whole of reality is in a constant state of change. The English word used to describe this within Buddhist circles is Impermanence. Mountains erode, water evaporates, molecules change composition over time, and even the cells of our body are being replaced. It was easy to see this when I looked at external things. My trouble was that I felt like no matter what my childhood memory was, “I” had always been there, and “I” would be here tomorrow too. After all, who is experiencing these things, if it’s not “me?” And so I struggled through meditation and reading the dharma, adhering to the Buddha’s advice to rigorously test every proposition put forth in the writings. The self, like the mountain, is a creation of forces outside it, subject to new forces every day that change its shape in varying degrees. From one small, indefinable moment to the next, the mountain, and the self, are different. We may build upon the past, or we may have a part of ourselves chipped away, but there is no part of us, or the mountain, that is safe from the expanses of time. We may maintain residues from previous experiences, and we may get new things heaped upon us. I will never forget my wife’s first miscarriage, or the death of my close high school friend, or the first time I kissed a girl, or the moment my daughter was born. But even these memories are constantly shaped and reshaped by new experiences and reflections. They happened to “me,” and they continue to happen to a different “me” every time I think about them. When I stopped fearing my own “non-existence” and instead embraced how different life events had and would continue to shape me, the world slowly opened up. New tragic experiences are no less tragic, but a calming peace is generally present in spite of acute suffering. Somehow life seems a bit less sad. As a former Catholic, I can identify with much of where you’re coming from in your writing, particularly with your fierce sense of morality. What I want to say here is that the idea that there is no inherently existing self is completely compatible with Christian belief. There is still a dependently arisen self from moment to moment that experiences things and acts with moral agency in the world. On the other hand, saying as you do that the self is filled with God’s love and becomes more itself is fundamentally illogical. On the absolute level, in this present moment, there is nothing to become. There is no target to hit that has somehow been existing forever outside this moment. There is only you, as you are, right now, the you that exists in dependence upon all your previous moments. From a Christian point of view, where this takes us is particularly liberating, because it means that you can change. Given the right causes and conditions (the right training), you can develop more compassion, more love, more tolerance and so on, specifically because your self is empty of inherent existence. To paraphrase the great Nagarjuna, it is only because there is no inherently existing self that morality, even Christian morality, can work. I’m really enjoying your discussion of Sam Harris’ book, not so much because Harris has discovered something new, but because he talks about things seldom mentioned outside of Buddhist or Advaitic estoerica, which is my personal habitat. Still, he misses a few things, particularly because his agenda is to create a scientific-rationalist version of Buddhism for the modern West. I even approve of such efforts, but in his discussion of the notion of no-self in Dzogchen and Buddhism, he’s really missing the primary point. In Buddhism, the doctrine of no-self is a major element of the overall viewpoint that is called “dependent origination”. In this view, all suffering begins with ignorance of our true nature, and proceeds from there to create a recurring loop of experience that cycles through all sorts of stages and realms of mind and body and cosmos, endlessly feeding upon itself in a kind of circular logical progression, like a snake biting its own tail. The entirety of the Buddhist teaching is aimed at breaking this cycle built on ignorance, so that the whole thing unravels, and all these illusions fall apart. Understanding dependent origination in the most visceral of terms is the primary method for breaking this chain of ignorance. Thus, the very process by which this illusion of a personal, separate self is created, also becomes our primary weapon for breaking it down by interrupting that cycle at various key junctures. Because it is so dependent on each link in the chain moving on to the next, any break in the chain causes the whole thing to collapse. The teaching on no-self hits one of those junctures, and by gaining insight into the reality that we have no real intrinsic self, the whole chain of dependent assumptions built on that begins to fall apart. However, it needs to be said that Buddha did not emphasize focusing on the “illusory personal self” link in the chain, in part because it was so subtle and hard to experientially relate to. Instead, he focused on things much more tangible and real to us: our felt sufferings and cravings. These two elements of the chain of dependent origination are much easier to relate to than abstract notions of a personal self, something it is hard not to simply take for granted. In fact, what Buddha generally pointed out is that what we call a “self” is really just a collection of desires, cravings, and sufferings, or our general sense of dissatisfaction. From all those desires and cravings, our personal sense emerges, as a reflection of our ignorance about these things. That’s what the Four Noble Truths directly address: not no-self, but dukkha, or the pervasive sense of dissatisfaction and suffering that we cannot seem to escape except through temporary and partial respites; and tanha, or craving, the intense and unavoidable burning desire for escape from that feeling of dissatisfaction. These are things we can immediately relate to, without any abstraction or conceptual thought, whereas this ephemeral self-sense is much harder to find or maintain an approach towards. The message that the Buddha really wanted to get across was a very visceral one: that our dissatisfaction and the craving for release from dissatisfaction drive all our sufferings in an endless loop, and they even create a corresponding self-sense that feels perpetually depleted, unhappy, and impossibly trapped in an existential cycle that seems inescapable, and thus we mistakenly conclude that the best we can do is find temporary pleasures or respites from this, and find ways to manage or minimize the inevitable sufferings. Of the bliss of the cessation of craving. What Dzogchen and other direct approaches to meditation do is not a form of esoteric magic, it is simply break in this cycle, in which we cease to feed our mind and body’s craving for personal satisfaction, which drives most of us most of the time. Even a short moment of respite from this cycle produces great benefits of relief and relaxation that show us that there’s a real life beyond the craven pattern we have assumed to be necessary to our existence. And that’s what meditation is really all about; not merely some sort of good feeling that comes from sitting quietly, but a cessation of the ignorant activity that keeps us running like hamsters on the wheel of craving. But even that relief can become something we crave and try to hold onto and conceptualize about and make the basis for a new, more spiritual self. Even science is simply something we can misuse as a better, more logical means to satisfy our cravings for a better self. And sometimes I think that’s what Sam is after, rather than freedom from craving itself. As if by holding onto this genuine insight, he can find some kind of actual satisfaction of his more ordinary craven mind’s desires. He’s certainly not alone in this; it’s part of the whole pattern to be understood, but it’s not enough to merely grasp, even experientially, the truth of no-self. One must also understand the much more obvious truths of craving and suffering. That’s the hard part of Buddhism, because we all have our cravings and our personal needs for satisfaction, and we expect even Buddhism or meditation to address these and give us that satisfaction, just in a deeper and more effective way. But Buddhism says no, don’t fall for that trap either. Just sit – even sit in that total sense of frustration and lack of satisfaction and unfulfilled craving. Let that burn you up, until it burns itself out. That, then, is enlightenment. The cessation of that craving, that has been allowed to burn itself out, is the definition of Nirvana. That’s not the end of life; it’s in reality the beginning of real life, a life based on reality rather than the cycles of craving. It turns out that suffering depends entirely on that cycle keeping itself going, and so when it collapses, not only does our sense of personal, separate self burn out, but so does our suffering. The heart itself breaks open. Follow the whole Book Club discussion here. And join in by emailing your thoughts to bookclub@andrewsullivan.com. Twenty years of meditation in the Dzogchen tradition have convinced me that the self, as it is conceived in the West, does not exist. With regard to your reaching different conclusions from Harris based on the same experiences, there is an old Zen saying “Words are a finger pointing at the moon – be careful not to confuse the finger with the moon.” I might describe the experience as one of realizing immaculate Buddha nature, but the important question is: what effect does this experience have? Am I a wiser, more compassionate human being because of it? The concepts about the experience are just that – concepts. They no more objectively prove your experience of the love and existence of God than they prove Harris’ rejection of God. The experience belongs to no belief system. It is what it is. In Buddhist thought, there are two sorts of frames of truth. Relative truth is the truth of appearance, and absolute truth is how things truly exist. Computers are an excellent example of this; there’s an apparent reality to email, blogs, the internet, but we know that those things don’t exist in any true sense – they are just conceptual representations of electrical activity. The key point is that relative reality is still real, it’s just real as appearance, in the same way that a dream or videogame might be real as a dream or videogame. Relative reality from a Buddhist perspective is all of the stuff we relate with, self, other, trees, greenery etc. Ultimate reality is reality free from concept, which is therefore impossible to describe. When Buddhists talk about the non-existence of self, what they mean is that self is a mere appearance. In particular it doesn’t have the qualities of separateness, permanence, or solidity that we ascribe to it. From a relative perspective, self exists as an appearance, but it has no reality from an ultimate point of view. Suffering arises because we try to relate with this ephemeral, shifty, appearance of self and other as though they were more than appearances. The benefit of meditation from this standpoint is that you awaken to the unreality of self, other, and perception. This isn’t to say that those things vanish, just that are revealed to be stories we’ve told ourselves after the fact. Interestingly, this is the same puzzle that Heidegger, Heraclitus, and other Western philosophers ran into: Being seems to be fundamental, but we can’t investigate it without presupposing the verb “to be”. The Buddhist answer is that a conceptual description of being is impossible, but it’s easy to be. This idea of ultimate reality as simply being, with no confusion about the nature of self or other, is probably compatible with certain notions of God. I can’t really comment on that, but it seems to be that if you hold the view that God is identical to reality (i.e. is not a personality) you might equate God with what ultimate reality. I think a lot of the puzzles Sam points to are helpful in that they show that our notions of self don’t make any sense. You can do this without science by asking questions like “Where does the self reside? When did is start? When does it end?” The trouble I think is that he doesn’t take the next step and acknowledge that there’s something there, something meditating, something writing a book etc. This puzzle of how these appearances can arise from emptiness is a real conundrum, and it’s worth spending some time on. Harris basis his rejection of the “silly” parts of Buddhism on a kind of scientific rationalism. The parts of the tradition that accord with math and science get treated as truths, while the parts that don’t line up get discarded as ridiculous superstitions. The problem is that Buddhist thought profoundly disrupts these modes of thinking. Now, admittedly, this make no sense conceptually. At the level of concepts, we have self and other, and rationality is important. Meditation starts from the notion that there’s actually a rich world taking place before concept, to relate directly to that world you have to have openness and curiosity. For me, I think this is where faith comes into it, even when you don’t believe in God. There is a sense of uncertainty and wonder that takes place in genuine meditation practice, or when you interact with someone like Tulku Urgyen. The sense is that you’re relating with a world that is much much larger than the boxes you try to fit it into. My advice for someone who’s starting to practice on the basis of this book is to not decide on anything ahead of time. It’s always possible that faith and sacredness are pointless, and that eventually we’ll invent an enlightenment drug, but it’s also possible that the lineage of meditators has some wisdom, and that you can’t really understand it until you try. I think a key to meditation is to stay in that uncertain place without collapsing into either view. 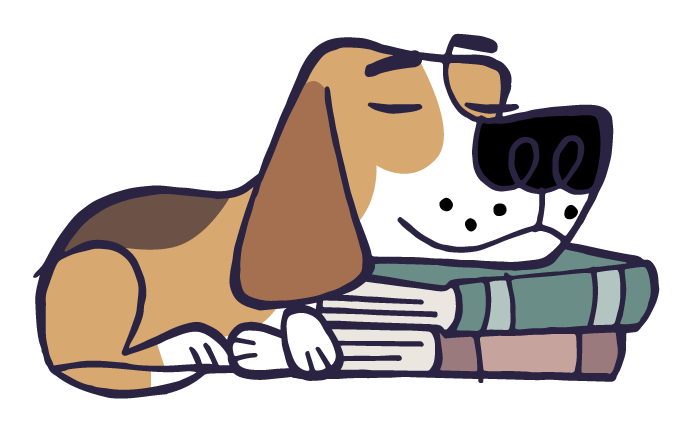 Every good meditator I’ve know has become softer, kinder, and more open as they’ve practiced. By contrast, Waking Up left me with this feeling that spirituality should be approached with aggression and intellectual fixation. I don’t think that’s right. 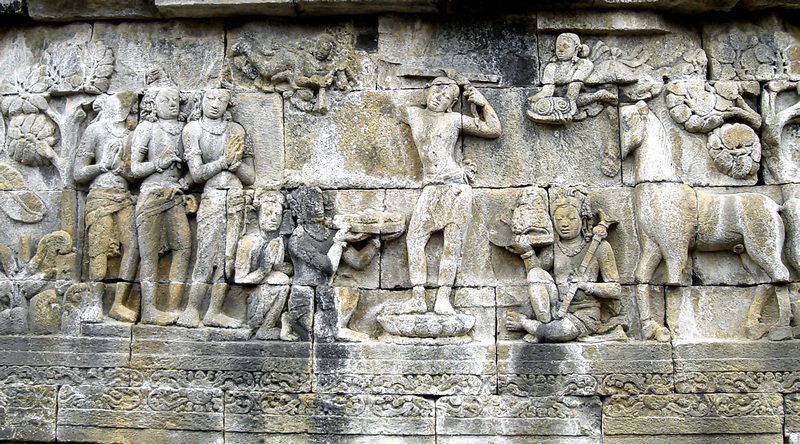 Sam Harris’s meditation is from the Theravadan Buddhist tradition of Vipassana. This is important. In this tradition, the dropping away of self and attainment of nirvana does not give one any insight into any wider story of meaning, or of origin, or anything like that. In the Pali canon, the Buddha is always either silent when asked metaphysical questions, or he states that the question doesn’t fit the case. In one famous episode, some muckity muck said he’d study with him if the Buddha could tell him the origin of the universe and what happens when you die. The Buddha responded by saying that he was a like a man with a poison arrow stuck in him telling the doctor that he wouldn’t let the doctor take the arrow out until the doctor told him the history of his family, his families families, what he liked to eat, what tribe he was from, etc. There are other Buddhist traditions, however. And there are non-Buddhist traditions that teach non-duality: Kabbalah, Vedanta, Christian gnostics, Sufism, Zen. In these traditions, when the self drops away what remains, the reality that one identifies with, is the manifestation of God. Jesus called it heaven on earth. Dogen, the founder of Soto Zen in Japan, called it “It”. Harris’ position is a minority position in contemplative traditions, and a minority position within Buddhism itself. Harris wants to argue that his position isn’t Buddhist, but that it is scientific. But it’s not. It is a philosophical assertion. Moreover, what Harris calls “waking up” is not the “waking up” of Zen, for example. What Harris has done is attained an absorbed state of concentration in which his sense of self drops away. But he then immediately conceptualizes it. He states that he is not sad, but that he is the observer of sadness. But what is the observer? He doesn’t get to this. He hasn’t gone deep enough. But the experience is so remarkable to him that he thinks he’s jumped into the deep end of the pool when he’s really just gotten his toes wet. 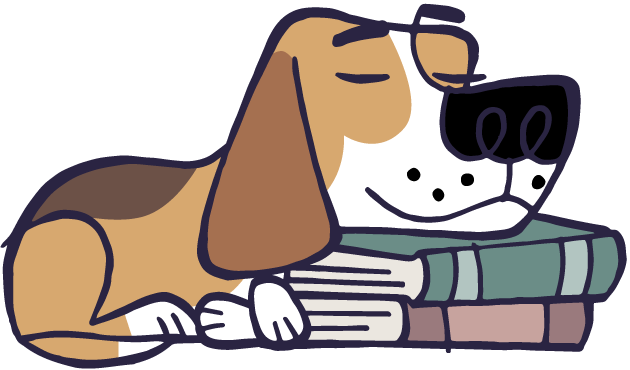 More readers on meditation here. Follow the whole discussion here. And join in by emailing your thoughts to bookclub@andrewsullivan.com. I started reading Waking Up after watching Sam Harris on Joe Rogan’s podcast. In it, Harris recounts his case against free will and mentioned that he thought that the self was an illusion. I am sympathetic to that view and in a manner believe it to be true, so I purchased Waking Up primarily to read his case on the question of self. I can’t say I really came away with the tools to feel I can prove this belief. Harris writes in the mode of a skeptic and does so well. But nowhere does the book move fully beyond skepticism to proactive persuasion. So you ultimately end up with firm evidence that common conceptions of self are false, but then the final leap seems to be that moments of awe and the truth are … just self-evident. Something that just is. But some people aren’t going to interpret these moments in that way. Certainly many Christians will associate with the idea of divine light in these moments, as you do. People of other backgrounds will see it in other ways. I love both you and Sam. I really do. I’m with him on the dangers and damage wrought by religion. With you on most political issues. But on this question from Waking Up, regarding the nature of the so-called “selfless” state of mind human beings sometimes experience during meditation or prayer, I’m afraid you are both wrong. Andrew, why do you both seek transcendence so badly? For what you feel, what we all feel in these oceanic moments, is neither an experience of being flooded by God’s love (your view) or a glimpse into the underlying “selflessness” of consciousness (Sam’s view). Whatever it is, it is most certainly NOT anything transcendent, nor showing us a “truth” about the selfless nature of the universe. It is part of what our limited biology, fashioned by millions upon millions of years of adaptation, does. Why is it so hard for you, and now Sam too, to accept your body and brain for what they are: your ONLY portal to experience, limited as they are, sometimes impulsive and directed, sometimes undifferentiated and peaceful, but always YOURS, beautiful and mortal and precious. It is always self, and that is okay. Andrew, I say lovingly: go with the love you feel, and you can leave out the “God” part. To Sam I want to say: go with the love you feel, and you can leave out the incoherent idea of some “selflessness” uncannily experienced by the self. 155 years after On the Origin of Species and this is still hard for people to accept. But once you do it is clarifying, and liberating. It’s all natural, all animal – all the way down. One question I would ask Harris: why do we have a sense of self in the first place? Despite its evanescent nature, it likely evolved over time through natural selection because it provided an evolutionary advantage at some point. It may very well be true that it is no longer useful to thrive in the 21st century, but to dismiss it out of hand and call it an illusion, without placing it in a scientific context, is kind of misleading. For many years now I have had the experience of no-self (it is not my philosophy, it is actually my experience). This experience is almost impossible to write about, but I will do my best. To begin with, it is not the case that my self vanished one day. Rather, I stopped identifying with the self. I realized that the self is a just thought that I am aware of, but the self is not what I am. The self has continued to exist as a thought that is very useful for survival and I expect it to continue to exist until death. So if I am not the self, then what am I? I honestly have no idea. For many years, I felt like I was nothing. This sounds terrible, but it was actually very liberating. I did not feel like a dead, cold nothing, I just felt like I was no thing in particular. Compared with identifying as a separate person that is perpetually fearful, lonely, and confused, being nothing is wonderful. Several years ago, I experienced a shift. I started to feel more and more like I was everything. The first time the feeling came on very strongly, I was sitting in Newark airport staring out at the Queens skyline. I experienced a unity between what I am and everything I am aware of: the beautiful sunrise, the sad buildings, the bagel I was eating, all my thoughts and feelings, etc. I felt like there was no inside and outside to what I truly am (even though I was aware of a self as a thought). For the first time in my life, I truly understood what it meant to love everything unconditionally. This feeling has never really gone away since then, although it is often more in the background of my experience while the self is in the foreground. Regarding the apparent conflict between Sam Harris’s writings and Catholicism, I see them as emphasizing different partial truths. Harris, in line with meditative traditions, emphasizes breaking identification with the self. This can alleviate suffering, but it overlooks the unity of everything and the possibility of universal love. Catholicism, and other devotional religions, emphasize allowing the self to be “overcome by divine love” as you aptly put it. But when Catholicism insists on the existence of an eternal soul, it makes God something separate that exists outside of a person. My own experience is that there is no separate self, there is only God, but a God does not exist apart from me. This is what St. Teresa of Avila calls “spiritual marriage” in the seventh mansion, or what Meister Eckhart meant when he said “my eye and God’s eye are one eye, one seeing”. Here are four other thoughts that seem important. First, I have no idea why this grace came to me. I am not a special person in any way. Second, I have no idea how common this realization is or if it is becoming more common. Third, it has not impaired my ability to live a normal life with a family and job. People often remark that I seem really calm, but otherwise I look like an ordinary guy. Fourth, I have no desire to evangelize about this. I am only writing about it now because I feel that your readers will benefit by hearing that freedom from self is possible. Anyway, I don’t know if I did a very good job explaining myself, but this is the best I can manage. If you would like to push further on this, I would suggest interviewing an American teacher named Adyashanti. He speaks eloquently about these matters and his realization is very deep. And as always, I appreciate the chance to contribute to the Dish. That reader also wrote an eloquent email about his experiences with ibogaine, a powerful psychedelic from West Africa. Follow the whole Book Club discussion here. And join in by emailing your thoughts to bookclub@andrewsullivan.com. I wrote in earlier to share my excitement over atheists breaking into the discussion of spirituality. To that end, I think Waking Up is a valuable read. I walked away appreciating a bonafide atheist’s taking on the subject. Having sat on the fence for my whole life on the subject of God, I’ve found writing that approaches atheism as a negative definition (what we are not) but a positive one (what we are) essential in becoming more comfortable joining a small minority of non-believers. I’ve been meditating for over a year now. It is perhaps the most substantial and rewarding thing I’ve done for myself and I plan on continuing the practice for the rest of my life. I can’t quite explain the growth that sitting in silence every morning has given me. It’s almost like I’m playing a bit with the dials of life, turning up my attention to the essential and the hidden while turning down some of the noise that can make listening to it all difficult, like my tendency to argue or having my thoughts spiral out of control. As one might imagine, I was very receptive to the chapters on meditation. The discussion of the lack of self is certainly worth a re-read. I know that I, for one, want to circle back on the neuroscience to make sure I caught everything. Ultimately, I felt like Waking Up was an invitation to discuss as opposed to a deep dive. I understand why. The typical person reading the book might need a little convincing. However, in making the basic case for mindfulness, I think Harris understandably did not chase any specific points to anywhere too arresting. I hope that Harris continues to write on the subject. It’s clear that he has more to offer and I think he would have receptive audience having argued the basic case. I’d be interested in reading more about spirituality interfaces with morality, the day to day, and broader constructs of society. Andrew and Sam had a great discussion re: religion a while back. I think it would be great to dive to the same depth and explore some of those questions with the new book in mind. I just finished Waking Up. The book has some fascinating things to say about the brain, the nature of consciousness, and the “self,” but I see it primarily as an invitation to the reader to begin a meditation practice. As Sam writes, “I am suggesting an experiment that you must conduct for yourself, in the laboratory of your own mind.” So I have a question for you, Andrew: Have you taken him up on this invitation? Have you begun a meditation practice? I don’t mean, “Do you engage in activities such as yoga or jogging or dog-walking that you might describe as meditative.” I mean an actual, daily practice of mindfulness meditation, such as Sam is describes on p39 of his book. If you have, I’d be curious to hear how your experience accords with Sam’s. As a practicing meditator myself, I can confirm that in my experience, meditation has effected a profound and apparently lasting transformation in the way I experience and engage with the world, entirely for the better, and more or less exactly as Sam describes in his book. I am more content, more positive, happier, and both physically and mentally healthier. Moreover, I feel confident that these transformations will last, because they are built on real insight – on seeing for myself The Way It Is (the title of an excellent book by the Theravada Buddhist monk Ajahn Sumedho), rather than on anything taken on faith. Meditation offers that therapeutic effect. It transforms seekers into finders. And as Sam points out, it does this reliably enough to be considered a “best practice,” or as the Buddhists call it, “skillful means,” for effecting this transformation. As much as I have enjoyed the discussion surrounding Sam’s book, I would caution that to read it and walk away with nothing more than opinions or criticisms would be to miss the point entirely. This is a book that leads to a door. Meditation is the way to open that door. If you haven’t taken Sam up on his invitation to do so, I would strongly encourage it. The results can be … enlightening. I took a course in Transcendental Meditation a few years’ back. And I do indeed meditate – but not regularly enough or with sufficient dedication and discipline. For a while, I combined it with a more traditional Christian prayer: I’d spend twenty minutes meditating, and then ten minutes saying the Lord’s prayer, slowly, methodically, contemplating and thinking through each phrase and then examining my conscience. I found the calm and composure after meditating helped dispel all the anxieties and distractions and thoughts that impeded prayer. And, yes, it really did help restore some balance to my life – an equilibrium and calm that is nonetheless hard to sustain when you do what I do every day and are constantly absorbing news, news, news, and opining in a raucous and rhetorically polarized public arena. I even asked Sam to recommend a teacher – but any serious attempt to get to grips with it would require at least a month’s retreat – and that was close to impossible given the blog. And then the nervous energy of my job, and my own natural restlessness would take over. There are many times in the day when merely the idea of meditating seems so out of place, and so out of tune with the frenzy of Internet life. There are more emails to read, more links to cover, more decisions to make about the Dish, more chores and tasks to accomplish. It feels at times as if modern life both makes meditation more essential and yet also extremely counter-intuitive. I suspect it’s the beginning of an answer to much of what ails us – and yet I cannot seem to muster the discipline to do it as I should. Waking Up will not change many minds, as you suggest. But it may help many individuals like me who are not deep thinkers. Thanks for paving my way to enlightenment. The problem with Sam Harris’ thesis is that he spends a good deal of energy to destroy one dualism – the self and the rest of the world – and then focuses the rest of his capital on constructing another in its place – consciousness and sensory perception. As if consciousness is any easier to define as a continuous, knowable entity than self. A valid argument could be made that he’s simply substituted one term for the other and both are subject to the same powerful criticisms he makes against self – that both are elemental, Western constructs of spirituality that don’t survive analytic examination. What are we left with then, if that’s the case? A construct of consciousness that, on the most basic level, is completely reducible to brain waves and other sensory input. Humans may seem to be more complex organizations than, say, rocks and debris. The brain is a wonderfully mysterious organ to behold, after all, especially by its owner or someone similarly placed. And true spiritual oneness with the world could start by meditation and a loosening up of the dualistic approach we utilize to strap the world down on a gurney and do with it as we please. But Harris might need one more nudge in an Eastern direction, to get his argument fully down. He’s wedded himself to the existence of consciousness, despite acknowledging all along that it is not scientifically provable (except, he argues, through self-examination). Like many, I found Sam’s book enlightening and deeply challenging. And, like you, in the end I found myself unable to follow him into the complete annihilation of the self; it is too intuitively, phenomenologically present, it seems to me, to accept Sam’s dismissal. But the traditional Western view of the self seems also unsatisfactory, hence the value of trying to see things from a different perspectives. However, I also cannot accede to your Christian idea of a self relating to an altogether different and greater entity or being (which, only too often, amounts to the projection of human personality traits onto God, emotions such as love or anger or jealousy). The reconnection we seek is not a reaching over to something else, something outside ourselves, but rather it is the realization of our actual natures. We are God experiencing what it is to be finite (something the God of St. Thomas, in Her fullness and actuality, cannot do despite being all-powerful) – how to lose at poker, how to be amazed at a new discovery, how to misunderstand something, how to experience and then solve a puzzle, how to fear death. And because there seems to be only one way to be infinite, but an infinite number of ways to be finite, God experiences finitude in an infinite number of modes. I was disappointed that Sam only tangentially mentioned Advaita Vedanta (and then to reduce it to basically another version of Buddhism). I think there is a deeper-than-semantics difference in the Atman/Anatman debates between these two traditions, even if at a certain level they come to agreement. For me, the Brahman-Atman position is most agreeable at present. We are not different from God, we are God, though we have lost this realization. In that sense, our personal selves are chimerical, though we experience ourselves as quite real. Regaining that realization may well be the purpose of life. He compares it to astronomy before Galileo’s invention of the telescope. You and your readers, absent meditation, would be like astronomers absent telescopes debating the likelihood of Jupiter having moons. Everyone will have their arguments; they can have a good old fashioned debate about it. It is even theoretically possible that these astronomers might, through elaborating the theory of gravity, be able to conclusively conclude that such moons almost certainly do exist. Or they could build a telescope and see them. In the same way, through the instrument of meditation, anyone can see for themselves that the concept of self is empty. Not that there is or is not a self, but that idea of self is just that: an idea. A “thought.” And a deceptive thought, at that. It’s like if you think there is someone in your bed, and then you turn on the light and see that it is merely the arrangement of the pillows and blanket. There is no longer any doubt about the situation. When you see it, you may experience a brief blissful feeling of transcendence such as the one the Pope experienced, and that almost all of us have felt at one time or another. That feeling won’t last – the illusion of the self is far too strong – but what will remain is the certainty that the self is, in fact, a persistent illusion. Then begins the slow, rewarding process of honing one’s ability to live more and more with that liberating knowledge, and less and less out of the false sense of self. But this is not something to argue about or offer opinions on. It’s something to know. A far more fascinating account of no-self for me comes from the This American Life episode on testosterone. The account given by the man whose body stops producing testosterone is one of the best descriptions of non-attachment/no-self I’ve ever heard. Book Club: Does The Self Exist? 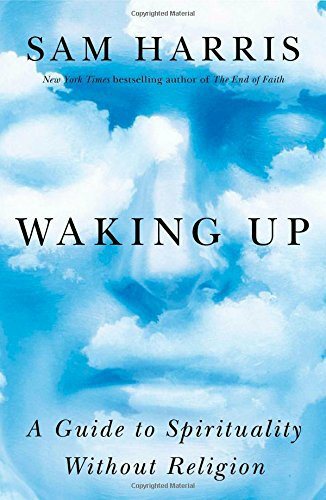 In our discussion of Sam Harris’ Waking Up, I want to try a different tack than in previous Book Club discussions. I want to throw this over to you as quickly as possible, rather than write a review of the entire book as an introduction. And with Sam’s dense but deep little tome, there’s one question I’m eager to ask Dish readers about: were you convinced by his argument that there is no real self as we usually understand it? motor neurons, muscle fibers, neurotransmitters I can’t feel or see. And how do I initiate this behavior? I haven’t a clue. In what sense, then do I initiate it? That is difficult to say. However one looks for it, this self is nowhere to be found. It cannot be seen amid the particulars of experience, and it cannot be seen when experience itself is viewed as a totality. However its absence can be found – and when it is, the feeling of being a self disappears. This is an empirical claim. Before I accepted I asked if I could spend a few minutes in the room next to the one with the balcony overlooking the square. My head was completely empty and I was seized by a great anxiety. To make it go away and relax I closed my eyes and made every thought disappear, even the thought of refusing to accept the position, as the liturgical procedure allows. For Sam, this is evidence merely that meditation works, that stilling unending thoughts enables a person to live mindfully rather than to experience life as one goddamned distraction after another. He sees this as proof of the absence of a self and a way to live with clarity and calm as we are beset by feelings and passions, good and bad. But the Pope suggests another way of seeing this: not as proof of the absence of self so much as the simplicity and calm of being oneself with God. It is a mysterious way of being, this communion with God. And maybe, experientially, it is indistinguishable from Sam’s meditative clarity and occasional epiphanies. But in it, for a Christian like me, the self does not disappear. It is merely overwhelmed by divine love and thereby fully becomes itself. In fact, this is the core mystery of our faith: communion with something greater and other than us, and a communion marked by love. In fact, something even more miraculous than that: a divine love that actually loves you uniquely. I can read much of Sam’s book, in other words, and yet reach a very different conclusion about what’s really going on. Or am I only projecting what I want to believe onto the experience itself? Feel free to tell me. Not that it usually requires a request. 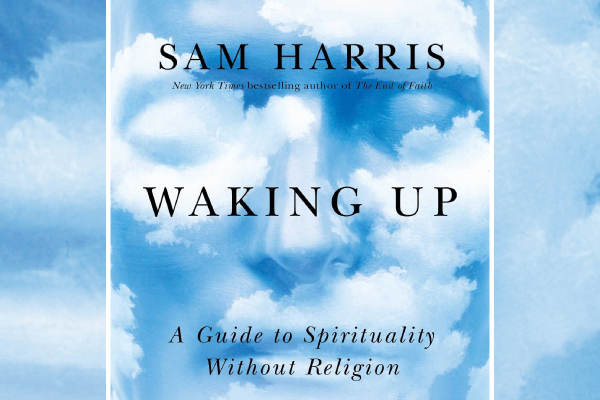 I am an atheist, and until I read about Waking Up on the Dish, I had never heard of Sam Harris. I bought the book, read it, and because of it not only will I die happily, I will be happier for the rest of my life. I am 69, a retired engineer. For a long time I have wondered about, and struggled with questions such as, Where was I before I was born? What happens to me after I die? Sam Harris has convinced me that consciousness is self (I.) My perception of I is just my consciousness. Bingo! Now I am not worried about “I.” Thanks, Andrew, for paving my way to enlightenment. Count me as one excited for this pick! I had already requested it at the library in fact, before you chose it. The timing of its release happened just as I have been reading more books on Buddhism and attempting to practice meditation myself. Despite being a long-time atheist, I have lately felt the need to find a different framework, a spiritual one, and Harris’s book offers me reassurance that I don’t need to feel I am betraying my convictions, or giving in to some soft-heartedness, by heeding the pull toward spirituality. At first I felt almost ashamed to be exploring meditation and Buddhism, as if I am failing to be rational or abandoning my intelligence. But in fact I think that my world when I only considered myself as an atheist and did not leave room for exploring other paths was too narrow and lacked room for any nurturing growth or exploration. I think it will be a great conversation. The book has had a powerful impact on me, since I have long been drawn to many elements of Buddhism (Thomas Merton guided me there), but always stumbled at the problem of the self. The book helped me think about that problem more powerfully than anything I have ever read – including many Buddhist scriptures. 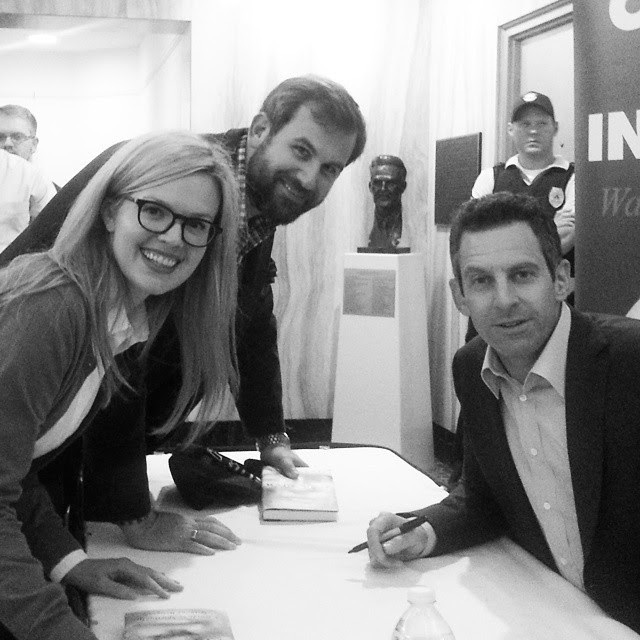 Recently my wife and I went to hear Sam talk about his new book here in DC. Neither of us believe in the supernatural or an afterlife, etc, but we do believe there are numinous experiences to be had in life, and that those can be – and I’d argue can better be – had outside of religion. So, we’re really stoked that you’re placing this topic on the table for discussion. I’ve only been able to read the first half of the first chapter. I keep having to stop and process. Is it true that all religions are similar but for the crazy fictions we place on them, or that you have to believe ridiculous, magical things before you can be a follower of all major religions (except Buddhism)? And that, honestly, all day long we’re just lurching between states of wanting and not wanting? Many thanks for choosing this book. I am humbled, even after 21 pages, and grateful for the future time lost to the interesting conversations this reading provokes.